Two of the biggest Comedians in Mexico join together for a comedy show like no other. 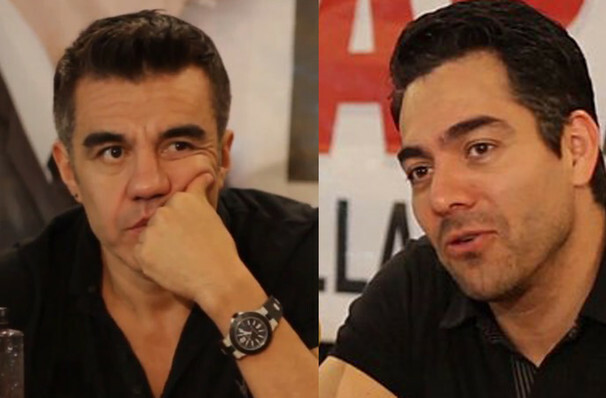 Omar Chaparro and Adrián Uribe are both heralded as two of the best comedians in their native country of Mexico, but that's not where their popularity ends. Both veterans of the USA comedy circuit Chaparro and Uribe unite for the first time in this wild comedy show. Combining their most beloved characters, as well as creating some new ones, Chaparro and Uribe bring you their most surprising show yet that will leave you belly aching from laughter. Working on this show for six months before performing it to the public Chaparro and Uribe have poured their hearts and souls into this project to bring their fans a night they'll never forget. In a battle of the funniest, Chaparro and Uribe compete for the audience's laughter and affections, but there can only be one winner... the audience! Seen Imparables? Loved it? Hated it? Sound good to you? 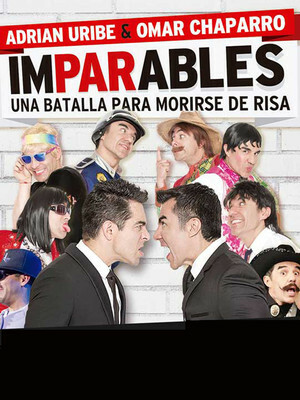 Share this page on social media and let your friends know about Imparables at Orpheum Theater. Please note: The term Orpheum Theater and/or Imparables as well as all associated graphics, logos, and/or other trademarks, tradenames or copyrights are the property of the Orpheum Theater and/or Imparables and are used herein for factual descriptive purposes only. We are in no way associated with or authorized by the Orpheum Theater and/or Imparables and neither that entity nor any of its affiliates have licensed or endorsed us to sell tickets, goods and or services in conjunction with their events.